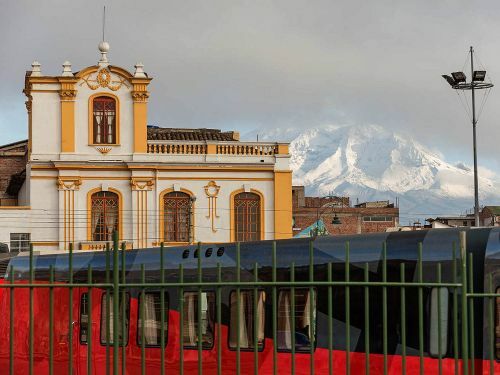 Cruising the dramatic landscapes of the Andes, the fully restored "Crucero" train, has reconnected capital Quito with the Harbor city Guayaquil, facilitating once again train tickets in Ecuador. 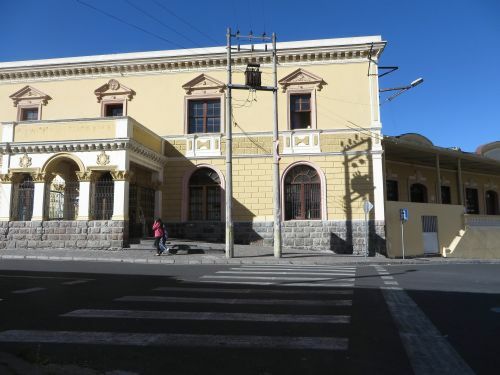 It was no mean deed, when in 1897, President Eloy Alfaro commissioned the construction of the 453km narrow-gauge railway, through the Valley of the Volcanoes and down the steep Andes slopes, passing through the Devils Nose Pass; It took until 1908 to finish. 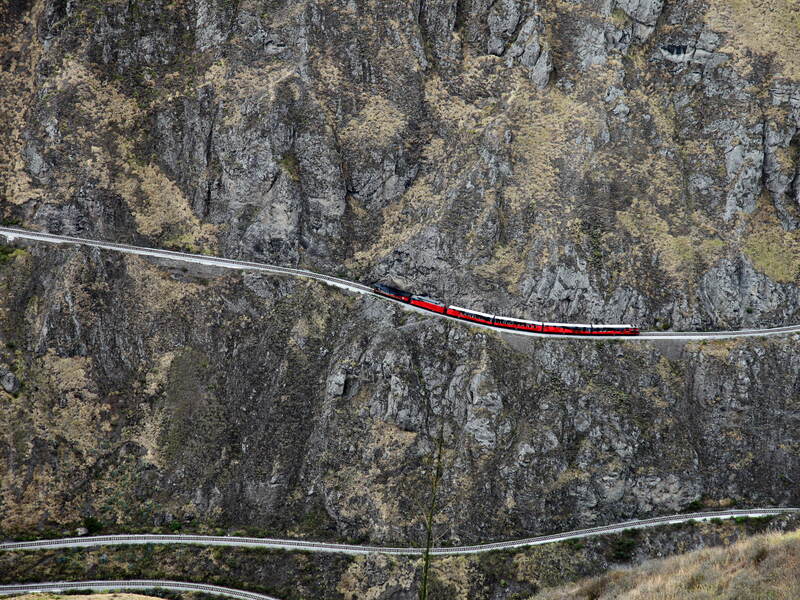 Overtaken by much faster roads, the railway system had fallen in disarray by the 1990s. 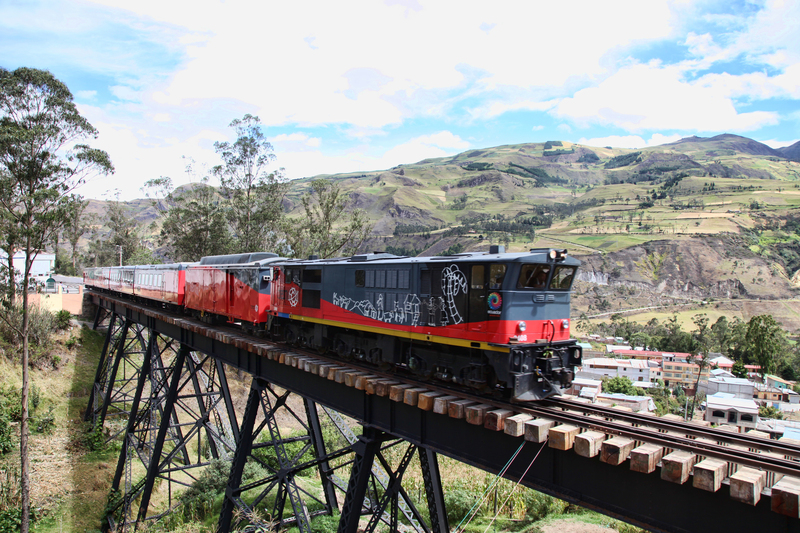 By 2008, only about 10% of the Ecuadorian train network was operational; A whole generation had never seen or heard a train. 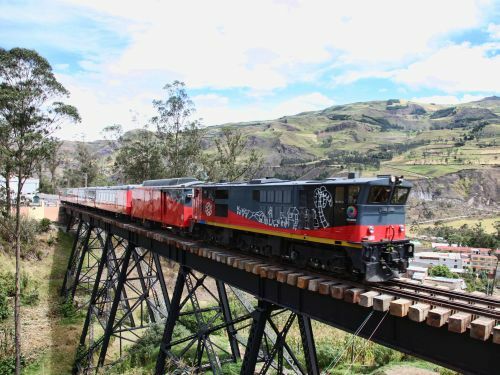 Since then, the Ecuadorean government has spent some $280 million revamping the national railway, reviving the old tracks and restoring antique steam engines, diesel locomotives and wagons in their original state of repair, and better! Since a few years, the steam whistle of a bright red or a pitch black steam engine can be heard again through the central valley of the Andes and down the steep canyons of the Andes, as it pulls luxurious passenger wagons from Quito to Guayaquil and visa versa. 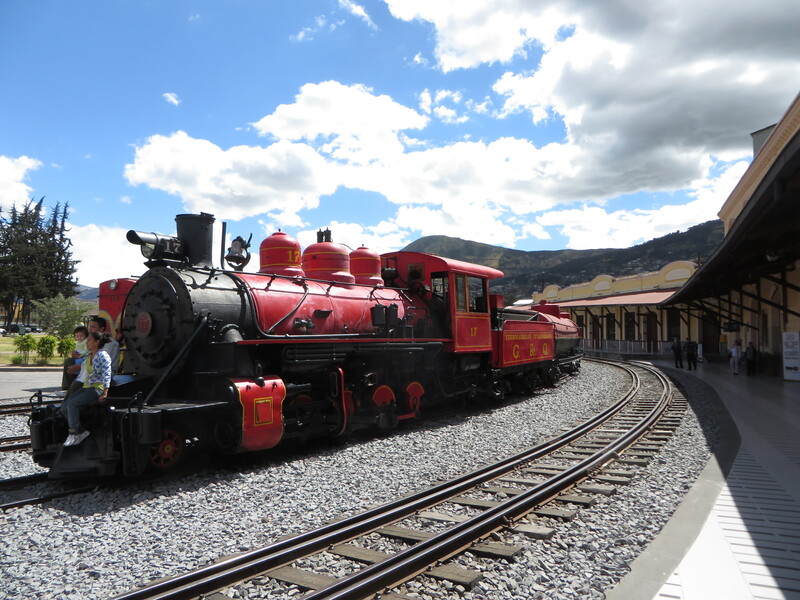 As tourist trains go, there is nothing like it anywhere in the Americas! 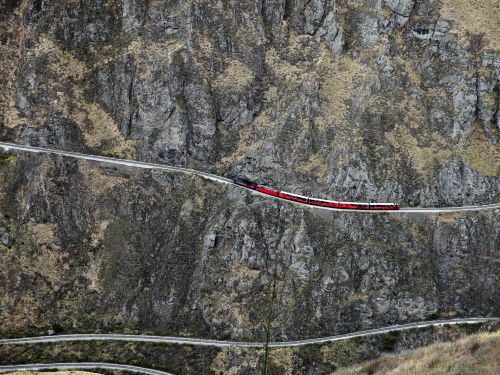 Yes there are some cute narrow-gauge tracks in the USA and Canada, but nothing as long as the track in Ecuador, and the luxurious train to Machu Picchu does not compare, neither in length nor in the fact that it is operated only by diesel engines. 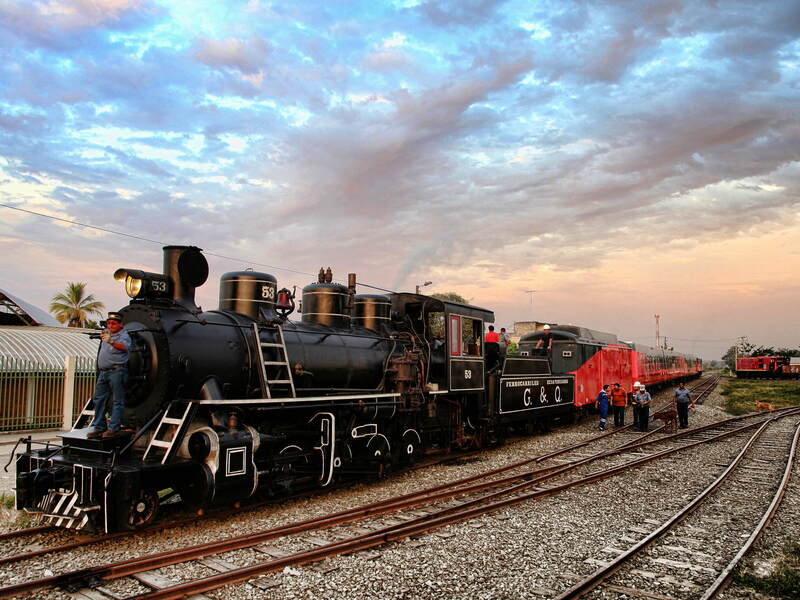 So, Train Buffs and Railway Buffs, this is your chance to experience something totally out of this world! 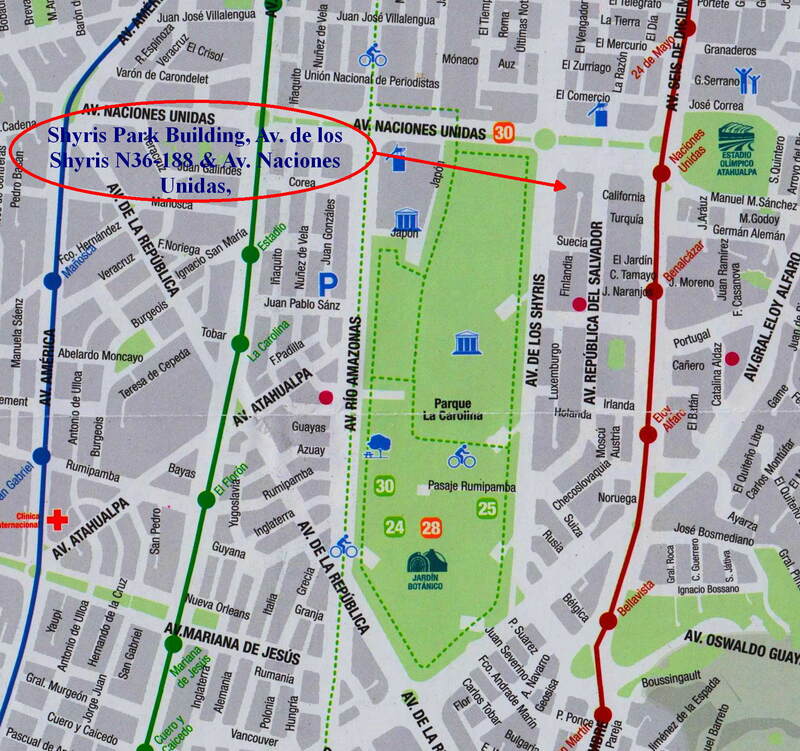 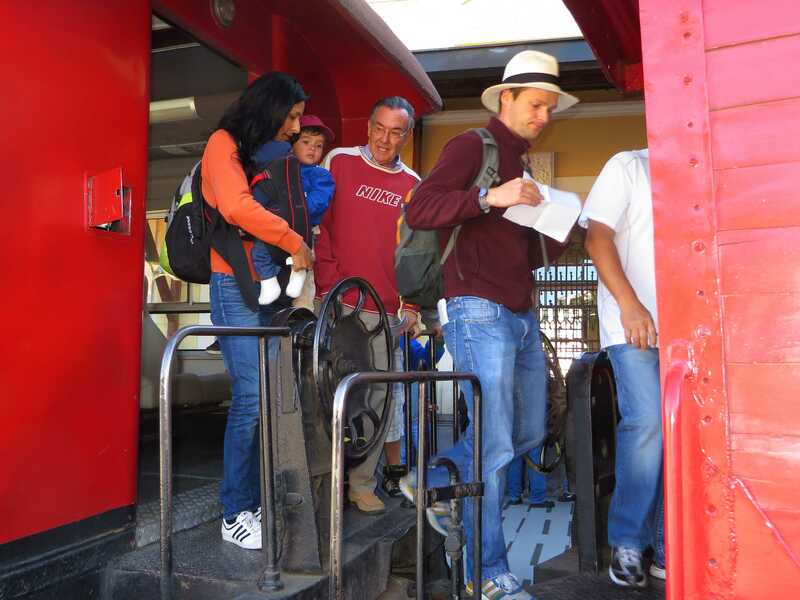 Tren de la Dulzura: Dur�n � Bucay � Dur�n 10 hours 08:00 / 08:15 Thursdays to Sundays and Public Holidays. The flagship of the railway's renaissance is the "Tren Crucero", a 54 passengers luxury steam train service operates between Guayaquil and Riobamba. The �Tren Crucero� has 4 deluxe air-conditioned luxury wagons pulled by a restored steam or diesel engine with 4 luxury carriages built in Spain. 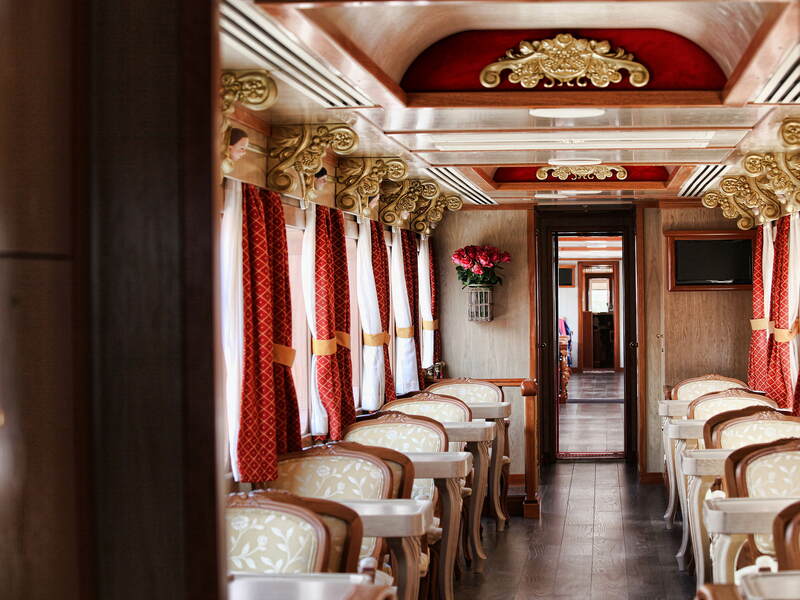 2 coaches have tables and chairs for travelling and dining, while the third wagon has a fine bar serving snacks and drinks. 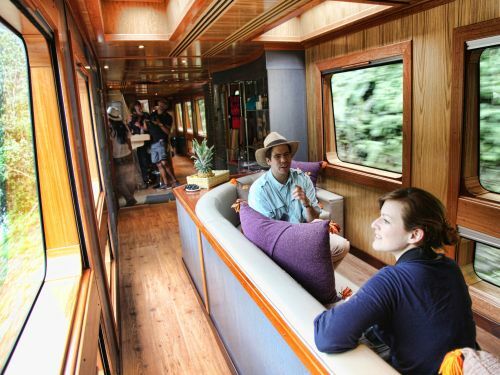 The observation lounge wagon has sofas and a large balcony. On the train, the guests are served delicious meals while at enjoying Ecuadorian cuisine at night. 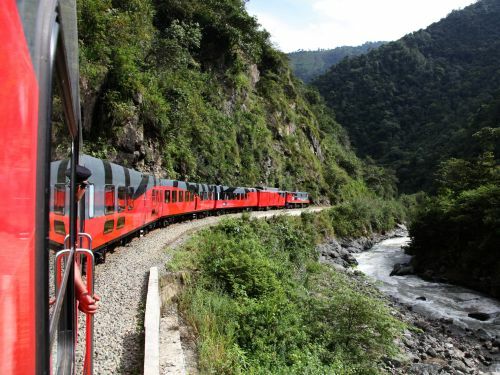 The �Crucero� train of Ecuador combines comfort, fantastic scenery, adventure, culture, and romance all in one epic journey. 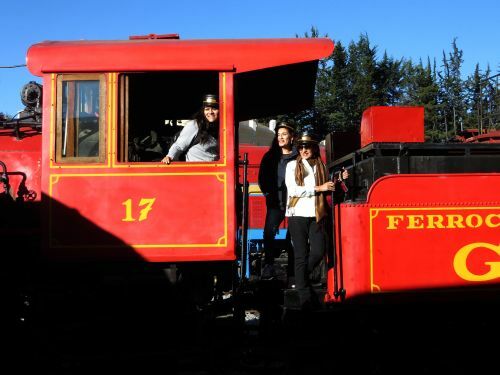 Take the train and you will ride the rails through the Avenue of the Volcanoes, descend the famous switchbacks of the Devil�s Nose, and experience enriching excursions away from the tracks. 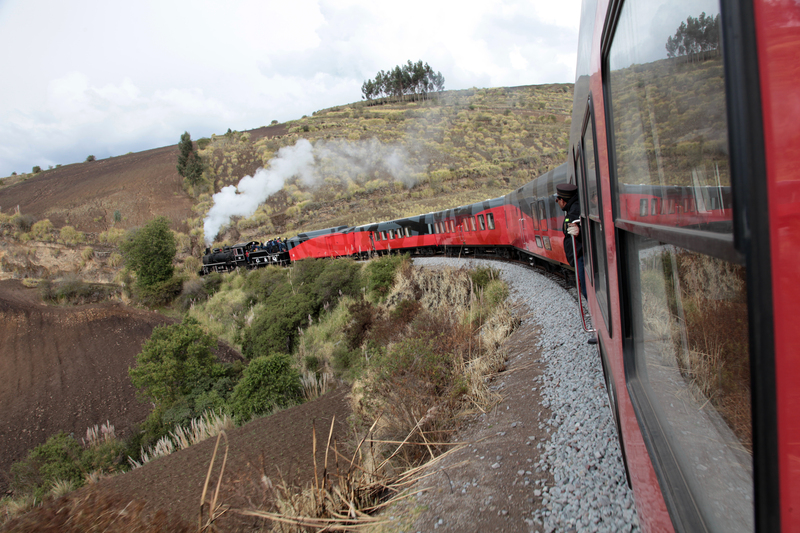 As the train rides in 4 days from Quito to Guayaquil it passes by the Avenue of the volcanoes, stopping near Cotopaxi National Park, Andes cities of Latacunga, Ambato, and Riobamba, from where it navigates down the Andes flanks via the �The Devil�s Nose�, where it switchbacks back and forth to lose altitude. 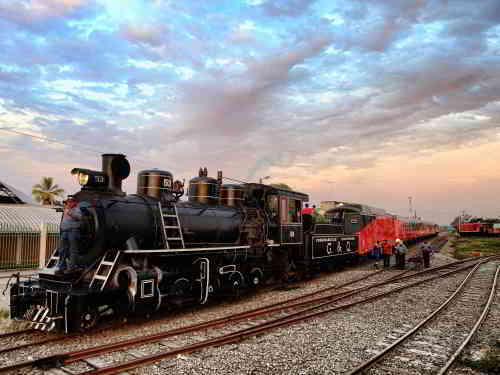 On the 4th day, the train completes its journey in the Harbor city Guayaquil. 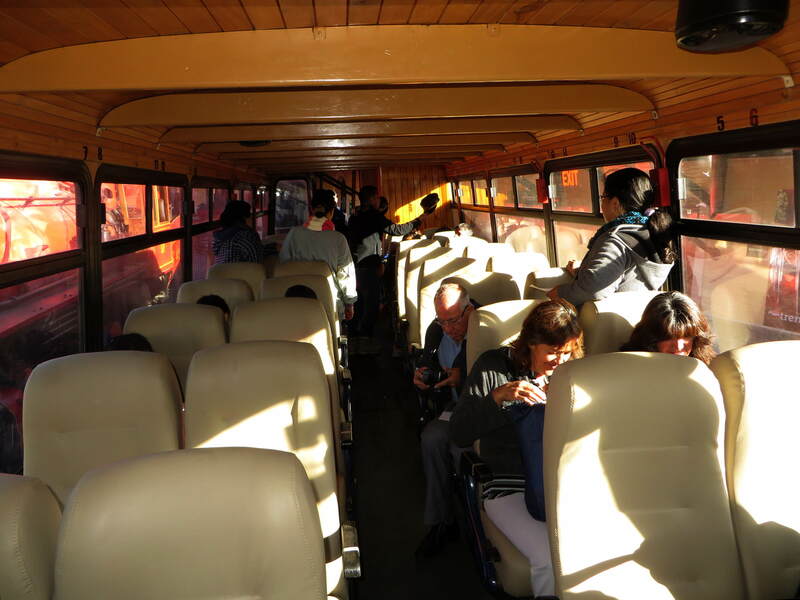 At night, guests are hosted in beautiful colonial haciendas such as La Cienega Hacienda, the Abraspungo Inn, and the Eterna Primavera Lodge. 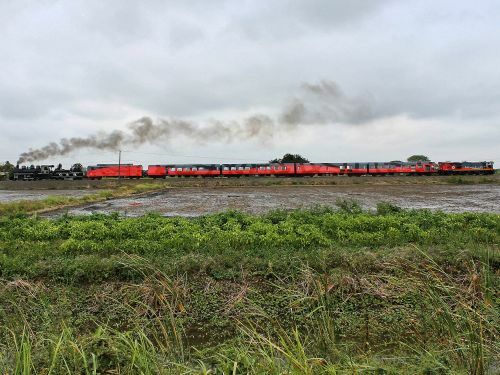 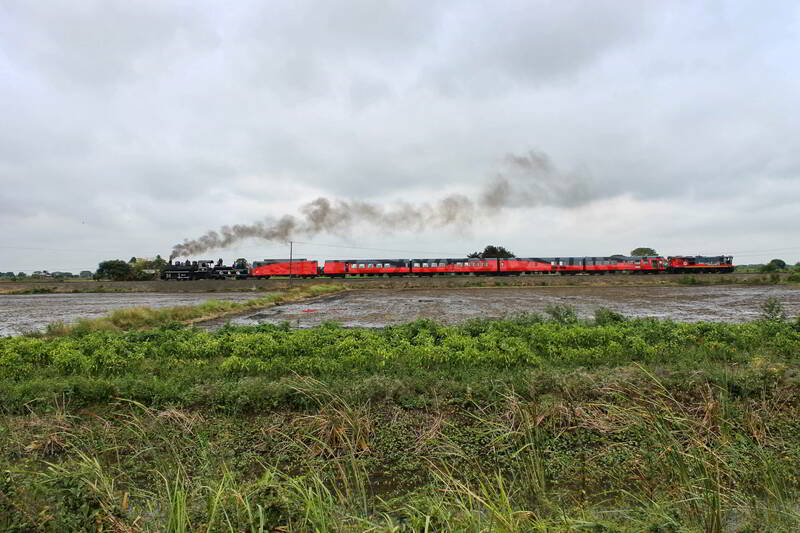 While the Crucero train is rather costly, there are also affordable day-trips - varying anywhere from 1,5 - 8 hours - givbing you the opportunity to ride a historical train with classical steam and diesel locomotives. 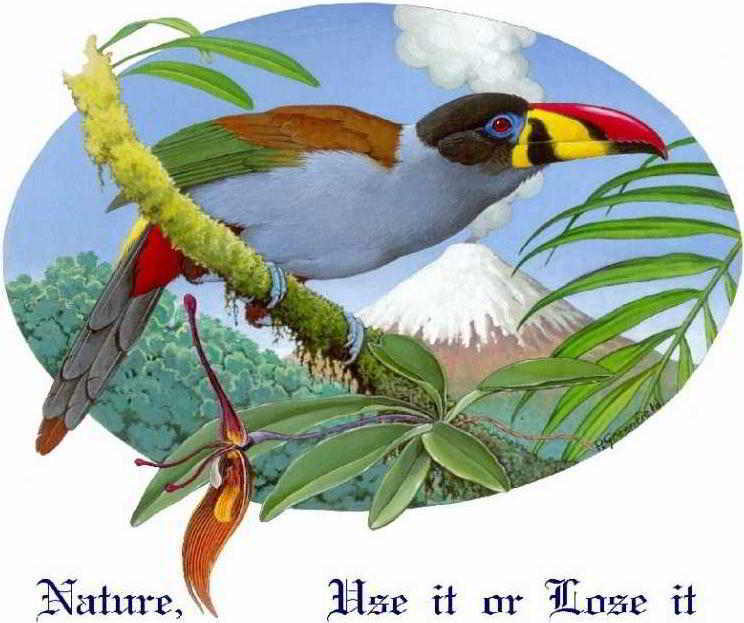 The �Crucero� train of Ecuador ride combines comfort, fantastic scenery, adventure, culture, and romance. Take the train and you will ride the rails through the Avenue of the Volcanoes, descend the famous switchbacks of the Devil�s Nose, and experience enriching sites away from the tracks. 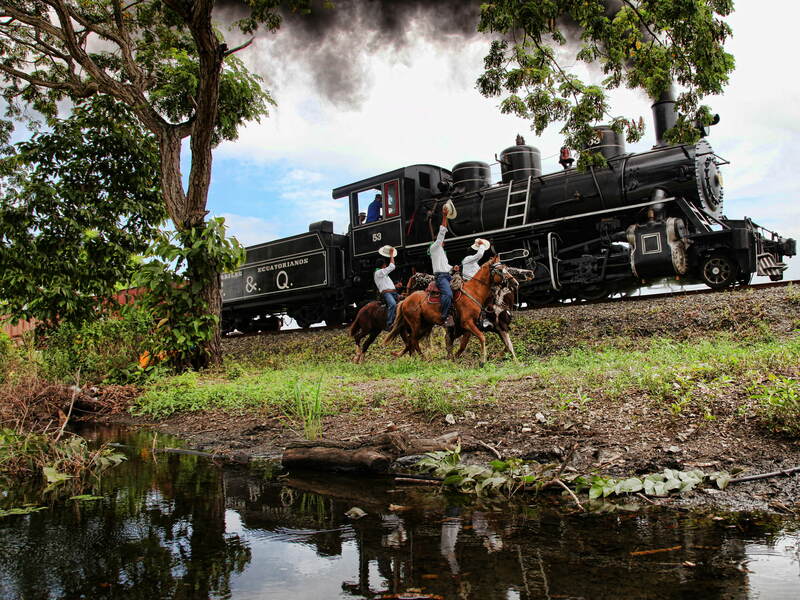 the �Tren Crucero� has 4 air-conditioned luxury wagons pulled by a restored steam or diesel engine. 2 coaches have tables and chairs for travelling and dining, while the third wagon has a fine bar serving snacks and drinks. 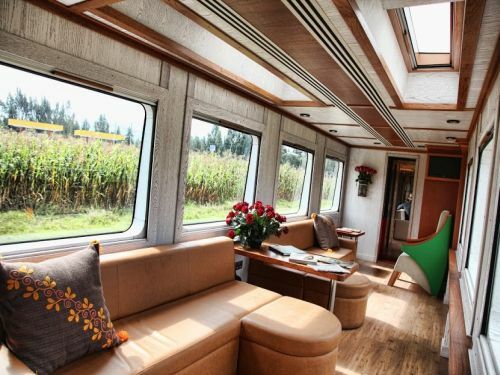 The observation lounge wagon has sofas and a large balcony. As the program involves several days and nights, guests pass the night in beautiful colonial haciendas such as La Cienega Hacienda and the Abraspungo Inn, and the Eterna Primavera Lodge. 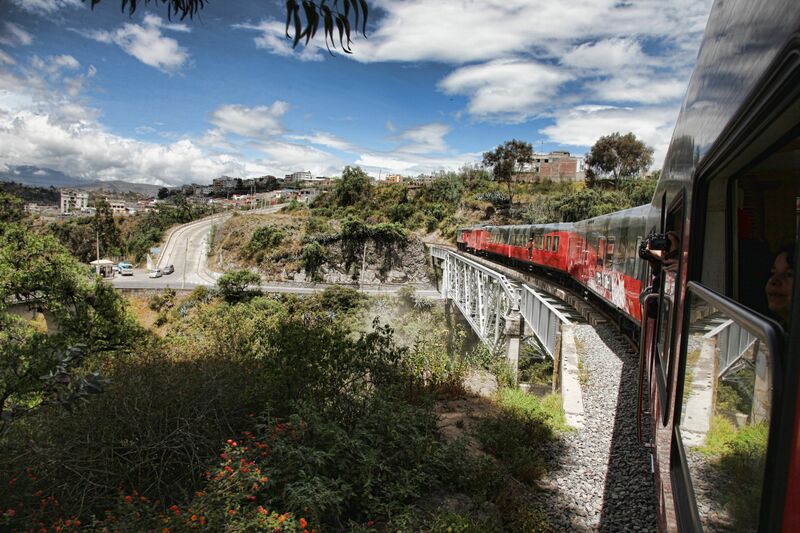 On the train, our guests get delicious meals while at enjoying Ecuadorian cuisine at night. 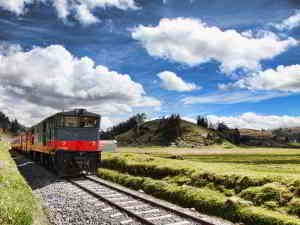 As the train rides in 4 days from Quito to Guayaquil it passes by the Avenue of the volcanoes, stopping near Cotopaxi National Park, Andes cities of Latacunga, Ambato, and Riobamba, from where it navigates down the Andes flanks via the �The Devil�s Nose�, where it switchbacks back and forth to lose altitude. 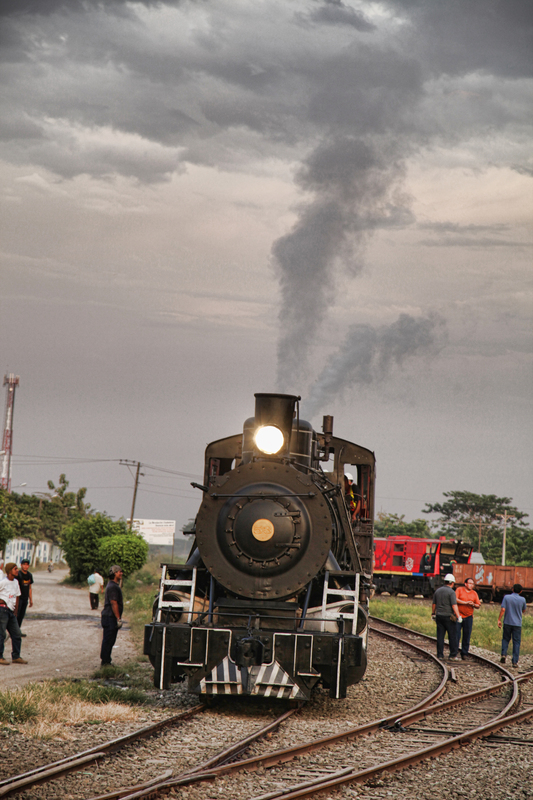 On the 4th day, the train completes its journey in the Harbor city Guayaquil. The grand old days of Steam trains train travel in Ecuador from Quito to Guayaquil have been restored to their old glory! Perfectly restored locomotive blowing its whistle and throwing out its black smoke as it takes of on its way to Guayaquil, passing through deep canyons along the Andes flanks. 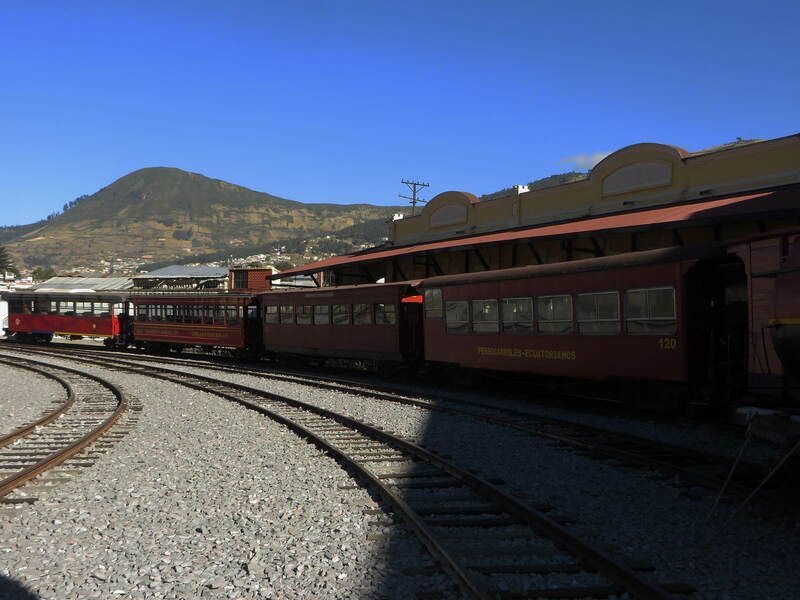 Starting in Quito or Riobamba, the Crucero train of Ecuador navigates passes through the fascinatingly beautiful landscapes of the valley of the Volcanoes and then navigates down the breathtakingly steep slopes of the Andes, after which it rolls down to its destination in Ecuador's lowlands, the harbor city of Guayaquil. 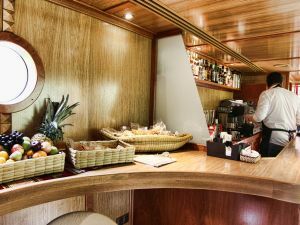 Dining room in the Crucero Train. 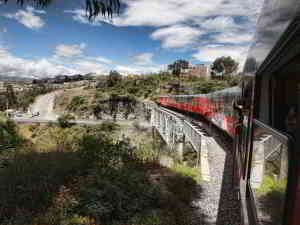 Landscape watching from the panoramic windows in the lounge in the Crucero train. 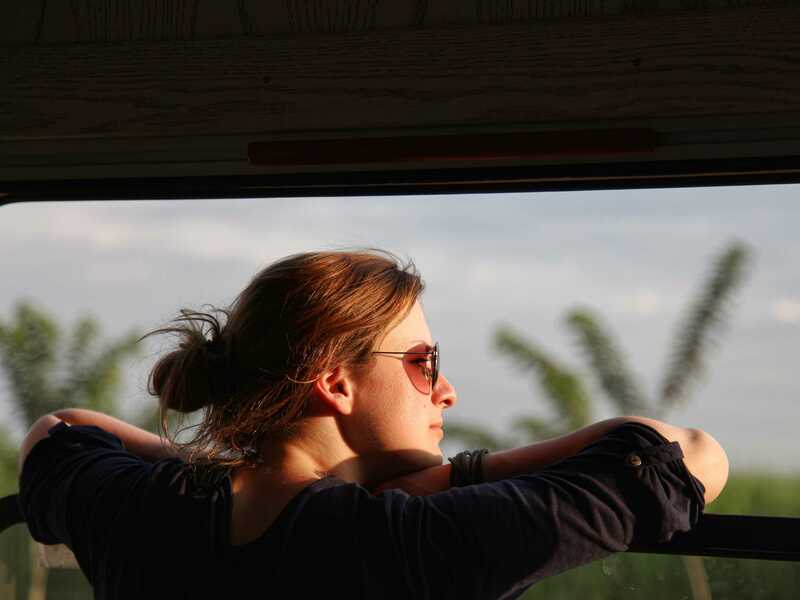 Watching from the balcony of the luxurious Crucero Train. Relaxation at the lounge wagon of the Crucero train. Scenes of the Crucero Train. Beautifully restored Chambacalle Railway station main entrance. The renovated Riobamba railway station with the Chimborazo in the background. 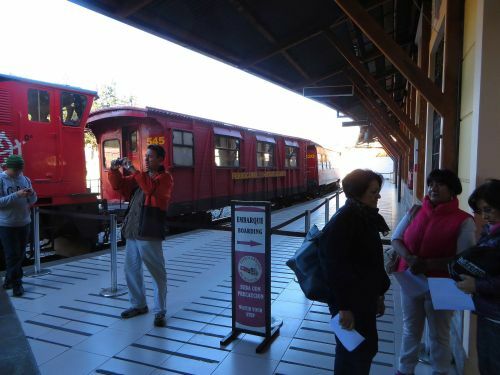 Passengers enjoying having their picture taken at the famous red steam locomotive in Quito. 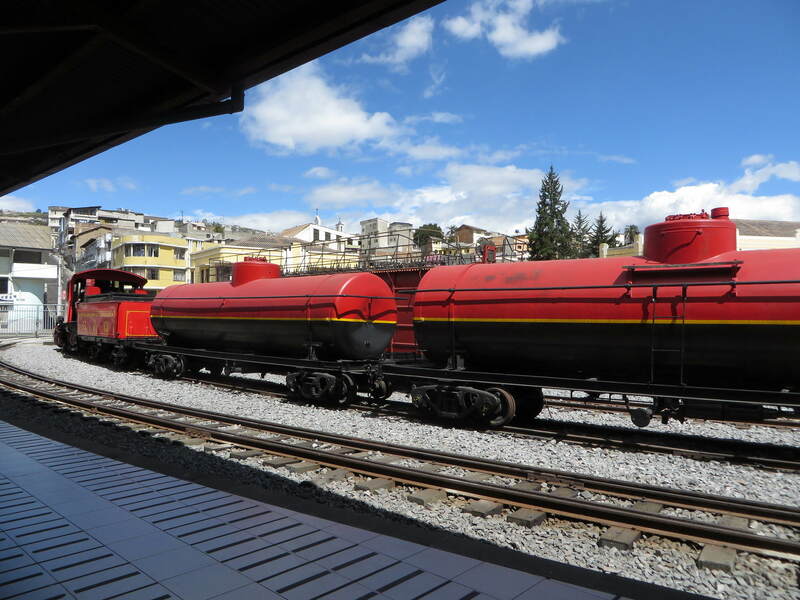 Skillfully restored oil wagons at display at the Chambacalle train station. 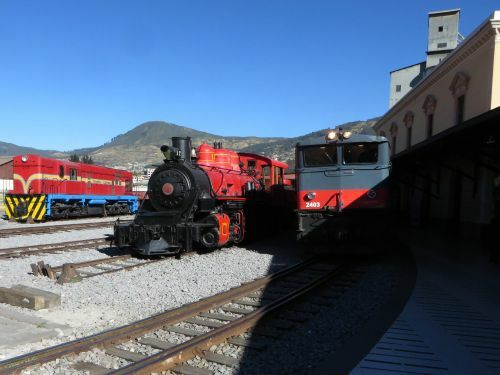 Three restored historical locomotives at the Chambacalle train station. 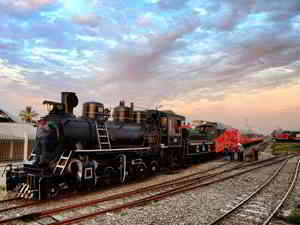 A day-trip train departing from Chambacalle train station in the early morning for an affordable ride. 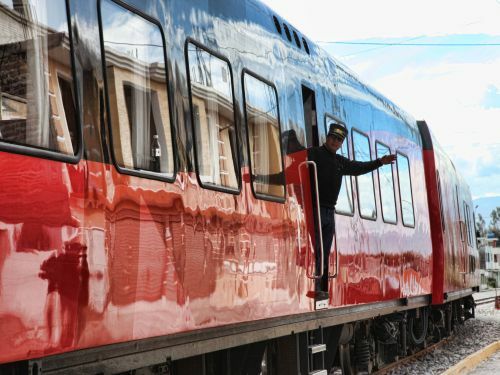 Restored coach at railroad station. 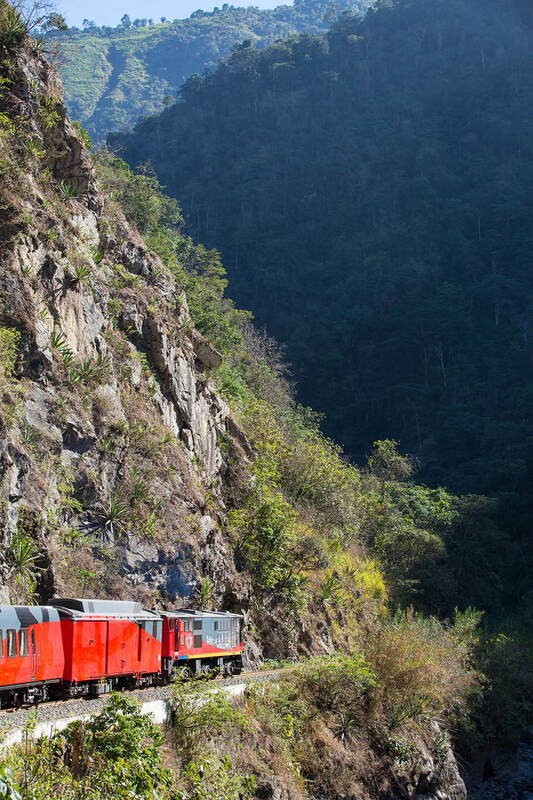 Enjoying the landscape rolling by. 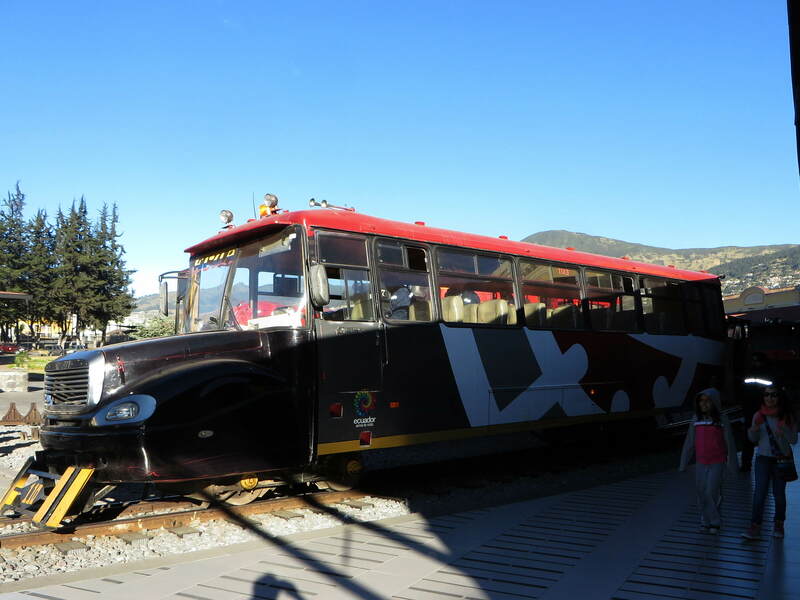 Much of the train service until the late 70s was done in converted busses on train wheels. 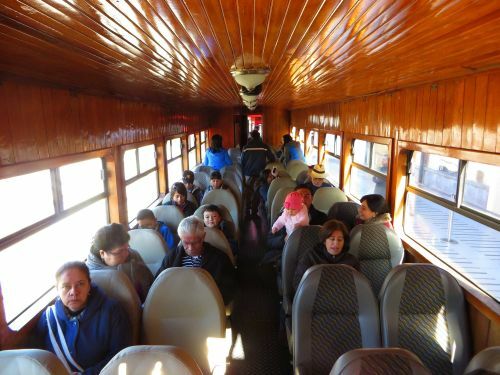 Several of such train-busses have been fully restored and converted to comfortable tourist trains. ASK FOR PRICES FOR ECUADOR TRAIN TICKETS!